An archive of over 110 years of Canadian mountain stories at your fingertips. Search 6,418 articles by over 1,500 authors from 1907 to today. 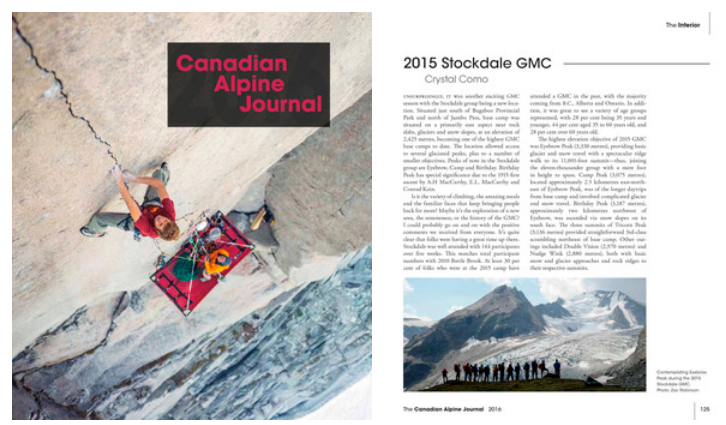 The Canadian Alpine Journal has been the flagship publication of the ACC for 110 years. It has been the permanent record of alpine ascents in Canada and by Canadians abroad since 1907. Now, the ACC is pleased to offer the entire archive of the CAJ online in a searchable format for use by anyone, anywhere. This is our gift and our way of celebrating Canada’s 150th birthday on International Mountain Day. *This is a public beta version of the archive and we’re welcoming member feedback. Did you find what you were looking for? Please send your comments to: ArchiveBeta@alpineclubofcanada.ca.